The opening ceremony was attended by Mr. Nguyen Van Duong, representative of the Management Board of ETEP Program (Ministry of Education and Training); Assoc. Prof. Dr. Dang Xuan Thu - Secretary of party committee; Vice President, Prof. Dr. Do Viet Hung - Head of ETEP Management Board; Assoc. 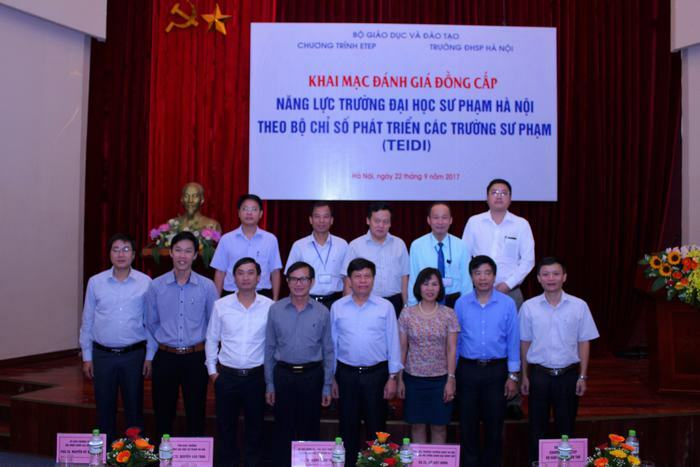 Prof. Nguyen Van Trao and vice president of Hanoi University of Science and Technology, members of the peer evaluation committee; secretary and leaders of units and representatives of teachers and staffs of Hanoi National University of Education. Prof. Dr Do Viet Hung, Vice President of Hanoi National University of Education, head of management board of ETTP program reported on the process of self-assessment, emphasized on the importance of Hanoi National University of Education’s assessment according to Teacher Education Development Index (TEIDI) in improvement capacity of training, scientific research, international cooperation. 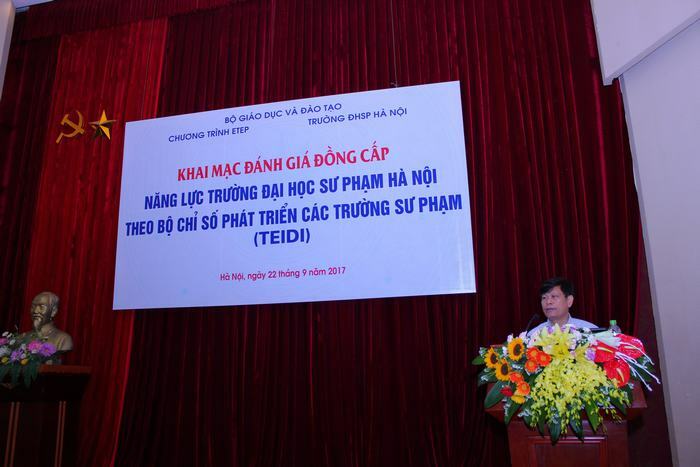 Speaking at the opening ceremony, Mr. Nguyen Van Duong, representative of the ETEP Program Management Board - Ministry of Education and Training, affirmed that the TEIDI helps to measure the ability of pedagogical schools to provide training and professional development services for learners, teachers, and school administrators. TEIDI will help pedagogical schools to assess the current status of their schools, thereby providing a concrete plan for the development of the school. After the ceremony, the team conducted a case study, provided by the university and examined the library, laboratory and other facilities to serve the training and scientific research. 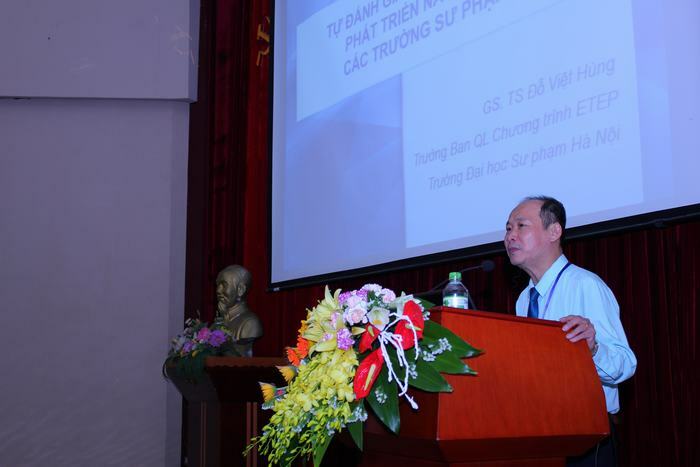 Prof. Dr. Do Viet Hung - Vice President, Head of Management Board of ETEP Program gave a speech.